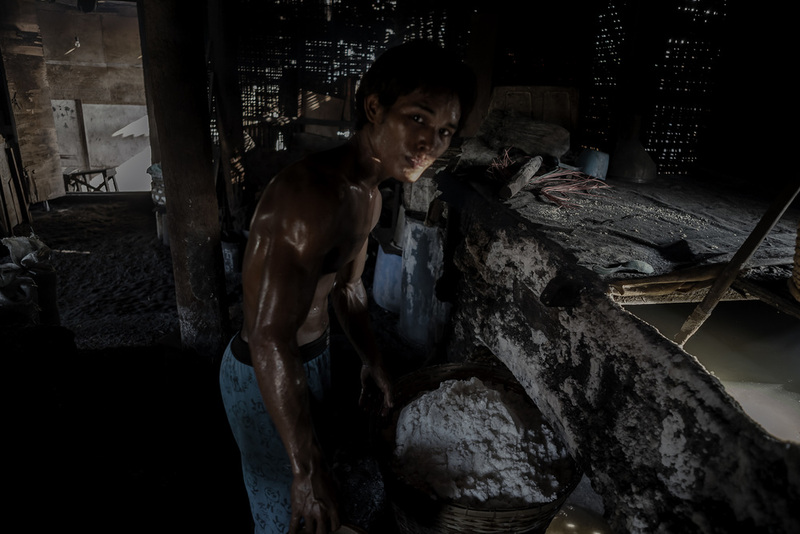 Salt: He grabbed my arm and pulled me to the doorway my camera slipping in my sweaty palms, the acrid fumes of sulphur filling my lungs. With grace and consistency Jacky Chan (as I called him) collected bucket by bucket of sea water from outside his small hut depositing them into huge baths. Three open fires roared with vengeance, heating baths of sea water leaving a thick residue of salt that was sold to local vendors; a few dollars a bag. 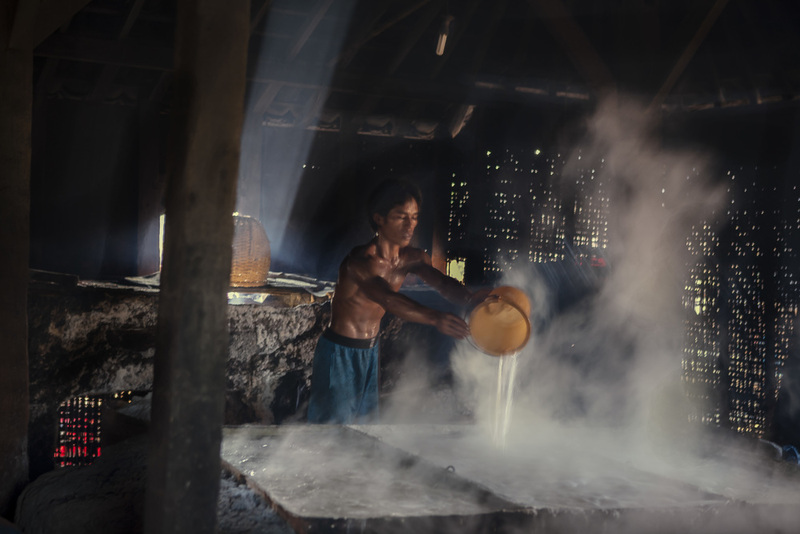 For fourteen hours a day 'Jacky' worked hard tending to his baths to provide for his family of 4.